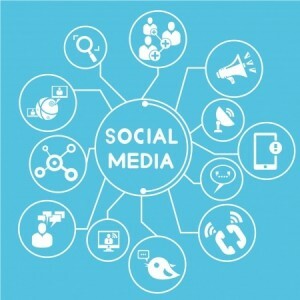 Social media is a huge element in the world of online marketing, and can be useful for a variety of purposes. Whether you are a small non-profit that wants to increase engagement and awareness, or a business that wishes to use unique content to bring people to your website, there is plenty of functionality in the utility. Unfortunately, many people suffer from low engagement rates on social media, which include replies, likes and shares. If you are in search of ways to radically increase social sharing of your content, then continue reading to find out about three tips that may come in handy for you. Everybody loves information – after all, that’s why the internet exists! If you want to increase shares and other forms of engagement, then there may be no better way than to create a tutorial or step-by-step guide on how to do something. While you probably will find better reception among your existing audience if the subject pertains to the broader theme of your brand, you may also be able to combine one of these tutorials with an ad campaign to boost shares in new audiences with a tutorial that is not tied to your overall mission. We recommend, however, that you focus on pinging users with a demonstrated interest in both your brand, and keep the tutorial relevant to the topic. Images and video can generate twice as many shares on average as traditional articles and text, so be aware of this simple fact when creating any content for social media. Infographics are insanely popular, with entire companies dedicated to the creation of them. You need not pay someone to create an infographic, however: you’ll find it very easy to craft one using a simple program such as Photoshop or Gimp. We recommend that your infographics be fact-driven and heavy on numbers – this makes it easier for people to absorb large amounts of information at once, which is what infographics are designed to do. Combined with a paid advertising campaign, you can radically boost social shares among your audience and targeted groups alike. Companies and brands will hold promotions from time to time that allow people to cash in on their social actions. One way to do this is to provide something trivial yet free in exchange for each individual social share. Maybe it’s a copy of an e-book or a coupon for purchasing products from your store. In other cases, you can run a promotion in which you provide something of greater value to one or a select few people who share your content. Either instance can work; it all depends on which angle you’d prefer pursuing. We have even seen some plugins that generate a PDF file from an existing page on your website – if you have plenty of web-based traffic, but not a lot of shares from the website, this method has been shown to dramatically increase engagement for free. Regardless of how you go about pinging users with content, it can only gain so much traction without social media assistance. By using one or more of the tactics outlined above, you’ll be able to inject some life into your social media strategies while also boosting traffic to your website.